Become a verse? Is there in truth no beautie? Not to a true, but painted chair? George Herbert‘s Jordan 1, you can read the whole poem here. Ulitmately, this is a devotional poem about plain speaking and not being ashamed to declare faith in God through verse. But I like this first verse for its let’s call a spade a spade message, one for scribblers like me. Ditch the adjectives, ditch the adverbs and get to the point. Clarity and Focus has been tattooed on my brain since my one to one with Julia Churchill from The Greenhouse Literary Agency last year. I won their competition with Writers Forum for the first chapter of a children’s novel (still a work in progress). 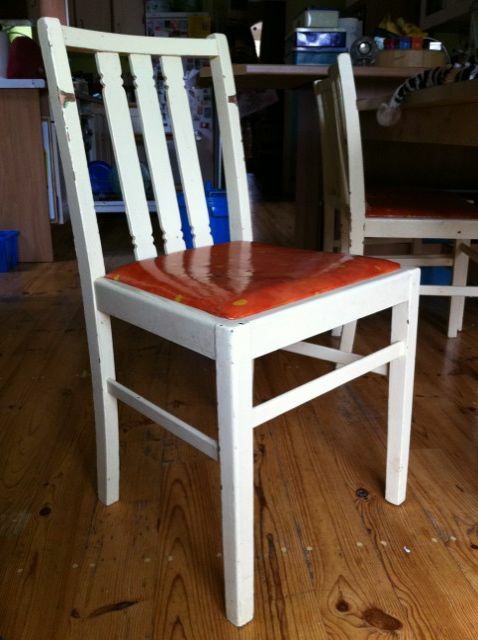 My painted chair is chipped and probably would have been a lot more beautiful, if I’d stripped it. But if I can get my lies to be really good ones, then they’re all about truth, emotional honesty, human condition stuff, fake world illuminating the real one. Obviously, still working on all of that. Just thought you might need the thinking behind my blog’s name. Hope you got the drift.